Moe and Irene's RTW blog: Do you dance Gangnam Style? Gangnam Style is a pop single by the south Korean musicain PSY. Five months after its release it became the first YouTube video to reach a billion views. As of four days ago, Gangnam Style had ben watched over 1.4 billion times surpassing Justin Bieber's single Baby. It has a catchy beat and amusing dance moves. On New Years Eve 2012, more than one million people witnessed a live "Gangnam Style" performance in in Times Square, featuring PSY and rapper MC Hammer. 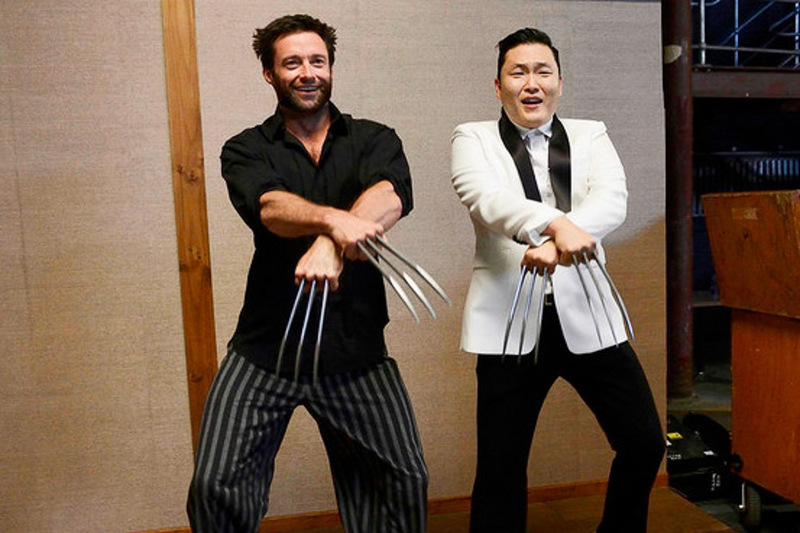 Hugh Jackman ("Wolverine") dances Gangnam Style. Even my two-year old cousin dances Gangnam Style. Watch it, if you dare! You'll be dancing along!